O’Lonhro is stamping his progeny with his own impressive looks and considerable presence, O’Lonhro hails from a prolific in-form black-type family. Lightly-raced Goulburn trained gelding O’So Tempting steps out on his home track on Thursday looking to maintain his unbeaten record in what’s been a dynamic first campaign. Having notched two wins from as many starts for the Tash Burleigh yard the O’Lonhro gelding tackles a handy class two on his home patch and gives Burleigh the opportunity to train her first hat-trick of consecutive wins with the same galloper. No mean feat for any trainer let alone one with a boutique-sized stable like Burleigh. “He was set to run at Goulburn on Country Championships qualifier day but pulled up with a bit of a stone bruise between runs. We scrapped that plan and wanted to get him right again before finding something else for him,” Ms Burleigh said. The form from his latest win has stood up solidly too. Our Rosemaree a minor placegetter behind O’So Tempting last start has since come out and won a Benchmark 55 race with authority at the Sapphire Coast. O’So Tempting doesn’t get things all his own way this time though having to carry 58kg to go with a wide draw. There are also two other last start winners in the race, Mileage (Gabrielle Englebrecht) and Lady Elizabeth (Jason Coyle) whilst the John Thompson camp looks to have the consistent mare Tutu ready to dance first-up from a spell after two quiet trials. Burleigh isn’t too fazed by any of this though, her horse having more than met the young trainer’s expectations so far: “It’s nice to be able to put the horse in tougher company to see where he is really at where it counts. Whilst Burleigh is conscious of the reality of how far a horse can go in its first campaign she isn’t putting any restriction on O’So Tempting at present. 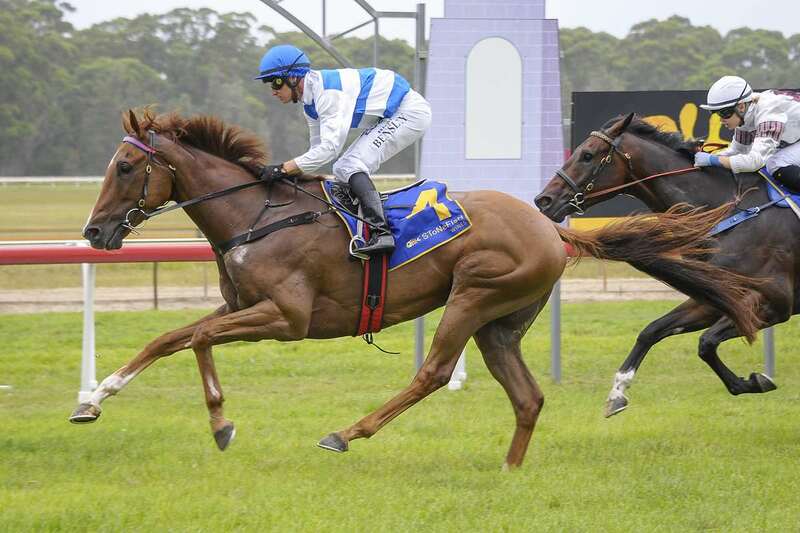 Another of Burleigh’s charges, Territorial, who ran a super race to finish in the top five in the SERA Country Championships race at Goulburn is also ticking over nicely with the possibility of a trip to the Albury Cup carnival on the cards. Other local trainers with horses in the mix for prizemoney at Goulburn on Thursday include recent SERA Country Championships winner Danny Williams (Amelda Race 5, Thomas Crowns Race 6), Greg & Kelly Gooch (Stafford Race 5, Sharif Race 3), Sarah Murray-Leslie (Stone Cold Race 4), Mark Gee (Treasure Boss Race 3) and the recently relocated Graham Payne (Northern River Race 7). Goulburn’s seven-race card kicks off at 1:45pm on Thursday and features a genuine mix of country, provincial and metropolitan-trained gallopers. Entry is free with full catering, bar and wagering facilities available.